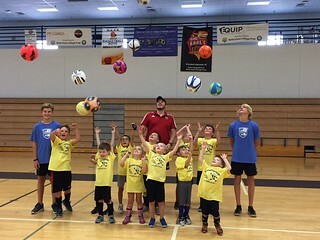 Our in-house, recreational league offers two seasons of soccer, one in the Fall (starts in September) and one in the Spring (starts in March), as well as a variety of camps and clinics throughout the year. We have programs for children 3-14 for all skill levels. Check out our Parents FAQ for more details. We look forward to having you as part of our DFAC family! --U4 Soccer Tots (co-ed) have 1 session/week--choose either Friday at 5:00 or Saturday at 4:00. All sessions are at Desert Willow Park. --U5/U6 Micro Soccer (co-ed) have 1 session/week--choose either Friday at 4:30 or Saturday at 4:00. All sessions are at Desert Willow Park. --U7-U14* (separate boys & girls teams except for U11-U14) will practice one day per week (as determined by the volunteer coach) and games on Saturdays. Game times vary, but they can be from morning to early afternoon. Practices are at Desert Willow Park. 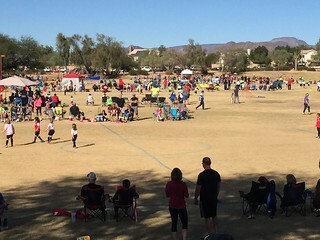 Games for U7-U10 are at Desert Willow, and U11+ are at Horseshoe Trails Elementary. * Some older age groups and genders may be combined. Groups are based on player's age as of August 1, 2018. DFAC dedicates this section to the most important people in recreational soccer today — the recreational parent soccer coach. The success of our program relies on volunteers like you! We hope that you, the recreational soccer coach, will one day look back with pride at the opportunities you created for learning and enjoyment. A supportive, child-centered, positive experience in recreational soccer is vital to the growth of our sport. No experience is necessary to be a recreational soccer coach. All volunteers should attend a coaches meeting prior to the start of the season. There you will receive a roster for your team, a coaches manual, and equipment. In addition, we offer a coaches clinic where our professional coaching staff will equip you with the tools, skills, and techniques needed to guide your team through the season. Clinics are held before the start of each season. Thank you for devoting your time to becoming a recreational soccer coach! - To receive pictures, you must complete an online form. Interested in our competitive Phoenix Rising FC Youth Program? Contact the office for more info. DFAC's success relies on our wonderful volunteers. If you are looking to get plugged in, we have several Leadership Committee positions open for 2018-2019. Serving includes FREE basic registration for both rec seasons or competitive equivalent for your kiddos! Click HERE for a list of open positions.